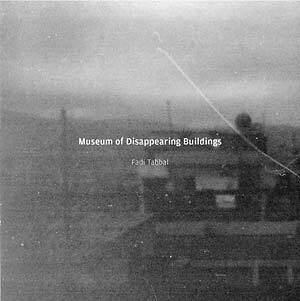 Fadi Tabbal, lead guitarist with Lebanese psychedelic rock band The Incompetents and various other alternative outfits, presents his second solo album, Museum of Disappearing Buildings. This album continues his sound exploration through guitar treatments, which began with 2013's On the Rooftop Looking Up. 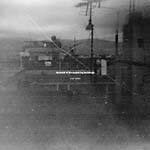 While the young guitarist's first album featured a finely devised interaction of ambient soundscapes and John Fahey-inspired finger-picking acoustic meanderings, this second solo outing adopts a different approach -- it relies on an interplay of ambient guitar drones and grainy electronics, which recalls somewhat the work of early krautrock vanguard artists from the 1970s, the leftfield exploration of British electro-acoustic practitioners from the mid-1970s, and the radical works of American minimalistic composers from the 1960s. 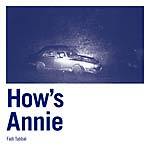 As in his first outing, Tabbal preferred a radical and direct approach to composition and recording, opting for the intimacy and self-reflection of home recordings over the traditional environment of a recording studio. At the heart of the album resides one unifying concept, which finds its way into the resulting musical bed: the sketches, impossible structures, and urban configurations of Russian paper architects Alexander Brodsky and Ilya Utkin.